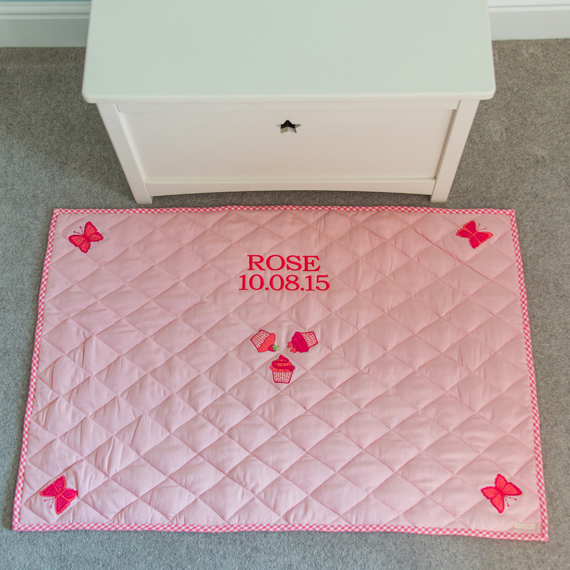 We love the beautifully designed playhouses from Kiddiewinkles, all individually appliquéd and embroidered. 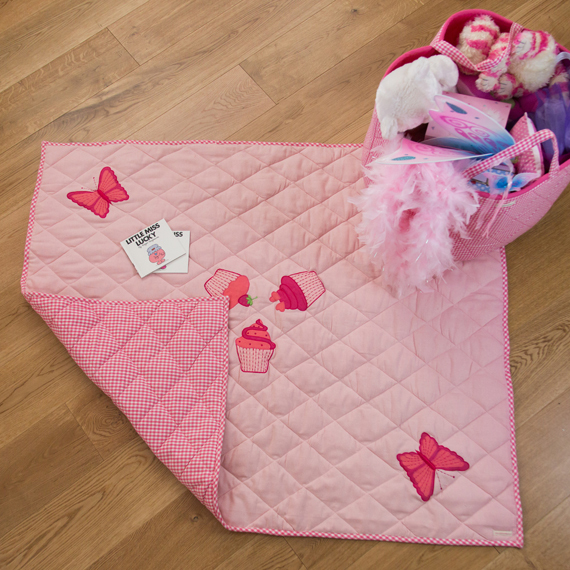 This 100% pink cotton floor quilt will fit perfectly into the rose cottage playhouse. 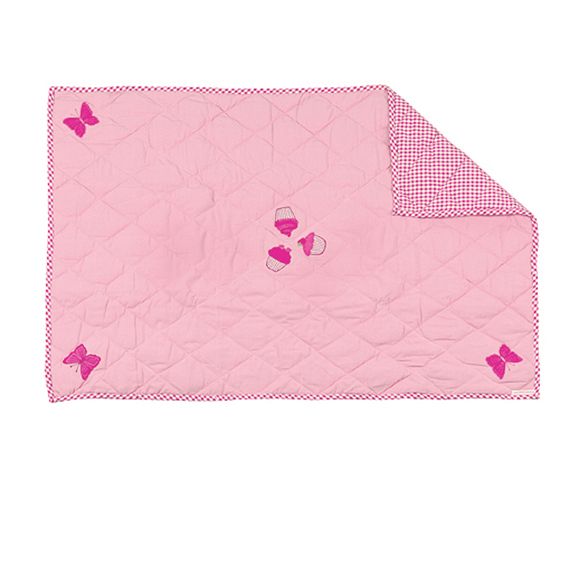 Quilted floor mats offer a soft surface to sit and play on, particularly useful for stone or wooden floors. 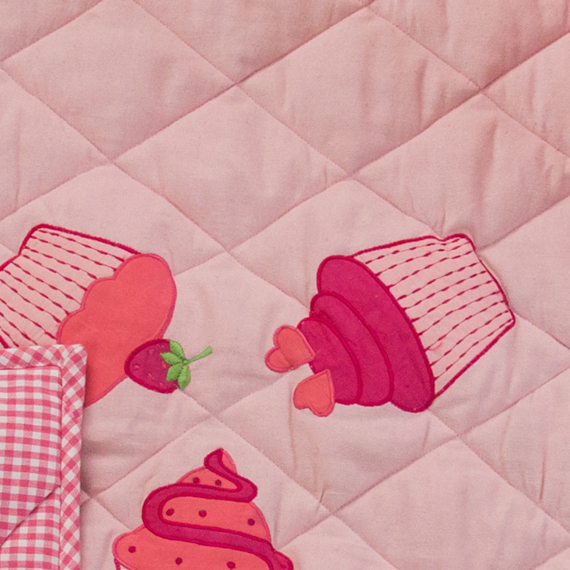 100% pink cotton floor quilt.